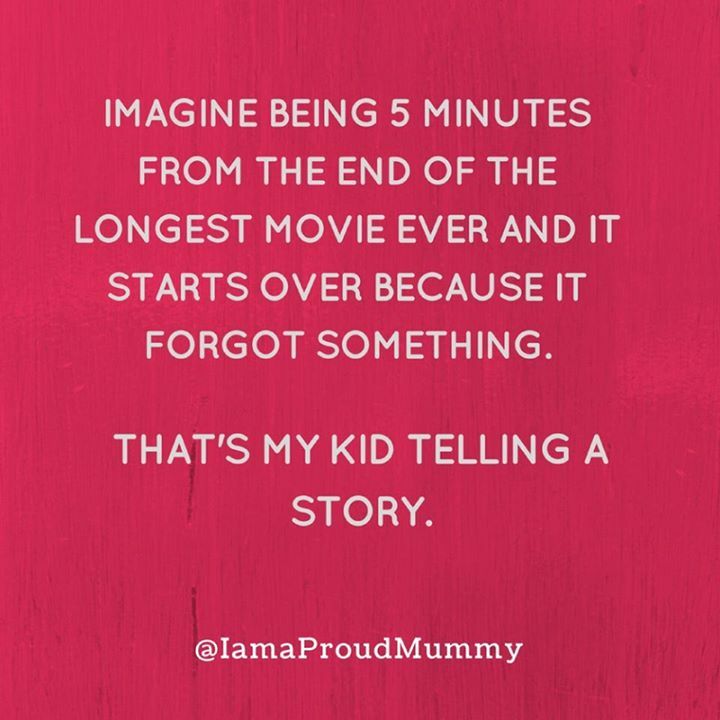 IMAGINE BEING 5 MINUTES FROM THE END OF THE LONGEST MOVIE EV - ProudMummy.com the Web's Community for Mums. IMAGINE BEING 5 MINUTES FROM THE END OF THE LONGEST MOVIE EVER AND IT STARTS OVER BECAUSE IT FORGOT SOMETHING. THAT'S MY KID TELLING A STORY. Stephanie Jodi soooo my Fats!! !